Wave of emotion. composite of painting par former Avatar's animation director on background painted in Corel Paintshop Pro. HD Wallpaper and background images in the Zuko and Katara club tagged: zutara zuko katara fire water. This Zuko and Katara photo might contain anime, bande dessinée, manga, and dessin animé. 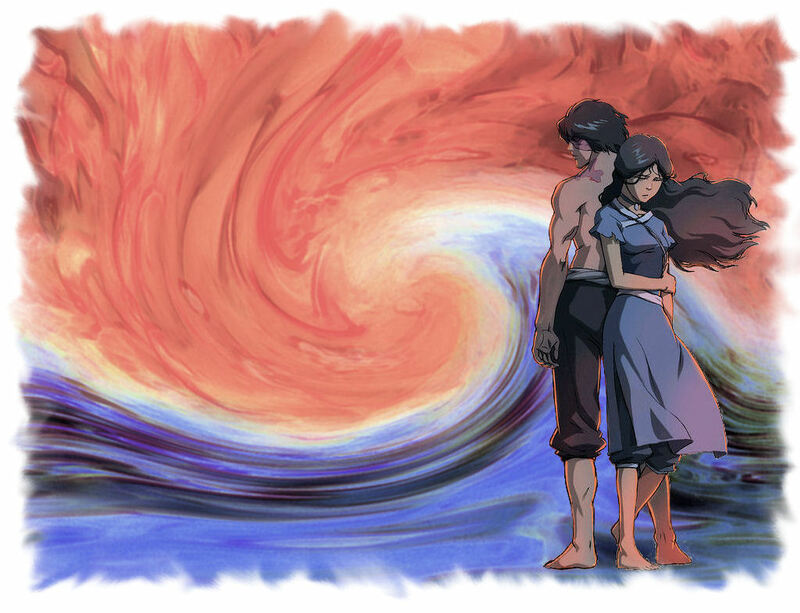 the original background was too small to make a wallpaper image, so i created a different background in photoshop and inserted Jae's image of Zuko and Katara on it.